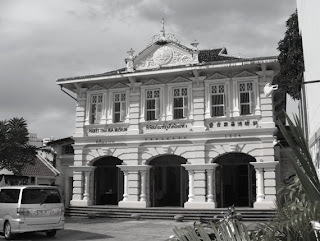 I have said it before and will say it again - I like Phuket Town, especially the old part of town which comprises a few blocks around Phang Nga Road, Thalang Road, Krabi Road and Dibuk Road. The narrow roads and turn of the century architecture combined with the old Chinese shops make a welcome break from the busier parts of town, and if you come from the tourist beaches it's like another world. 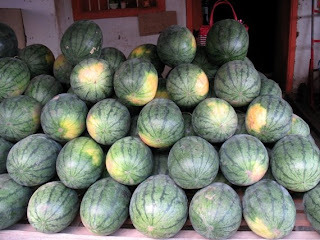 Yes, you are in the real Phuket, which is what this blog tries to show! 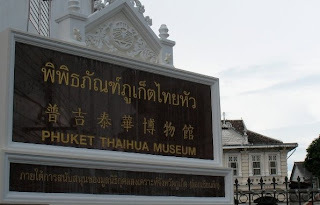 The Phuket Thai Hua Museum is found on Krabi road, a block North and half a block west of the traffic circle near the market. Krabi road is pretty quiet, most of the buildings are of the "Sino-Portugese" style and life itself seems slightly old fashioned in this part of town. The museum has been open a couple of years, and still has a museum-in-progress feeling. It has been used for art exhibitions too. 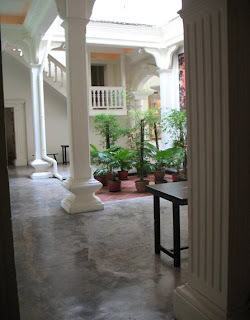 The building dates back to 1934 when it was established as the Phuket Thai Hua School, a Thai-Chinese language school mostly for the families of local families of Chinese origin (there are many due to the arrival of many Chinese in the 19th century in the tin mining boom years). The Thai Hua School moved to a new larger home on the edge of town in the 1990's. We know people whose kids study there and the Chinese language is still part of the curriculum. 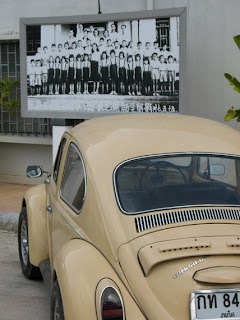 Inside the front gates, the car park is decorated with photos of the old school. When my daughter and I arrived, there were loads of guys with fancy cameras all over the place. With my little Canon Powershot I felt quite inadequate! I asked a guy what was going on. Turns out to be a photo assignment for Canon. I looked closer, yep they all had Canon cameras. A model was posing for photos inside the museum. Well, even with a Powershot you can snap a nice photo! 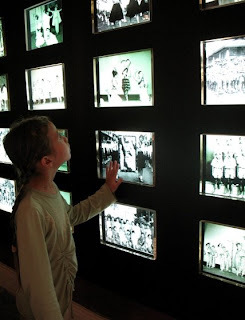 My daughter and I then wandered around the rooms of the old school. Some still with old school desks, lots of photos on the walls of past students. 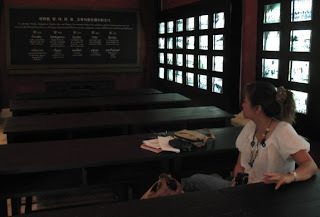 I did feel a sense of history, and we even met a former student sitting in her old classroom. She told us she had been at the school in the 1970's, and her mother had been to the same school before her. One room was full of old school books. The Chinese connection is clear! 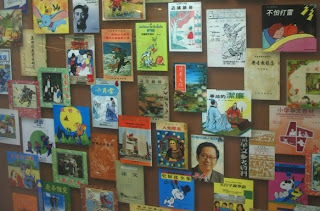 There was a wall full of little reading books ranging from Snoopy to what looked like "Why China is the best country in the world" type books! 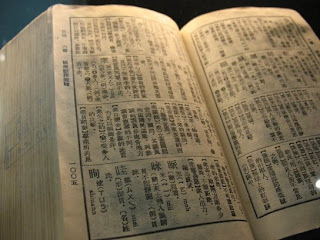 There were also old Chinese dictionaries and such. We did consider the Thai Hua school for our daughter some years ago, thinking Chinese would be a useful skill if they decide to take over the world, but in the end we opted for a school that teaches more in English. As I say, the museum is still growing, but it's certainly worth a visit. Phuket has plenty of history and culture, but you are not going to find it in Patong Beach! The brochure I picked up says it's open every day except Monday. 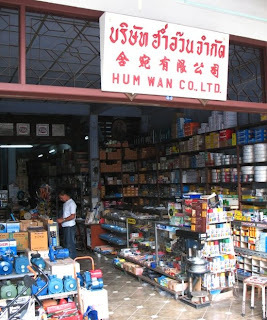 If you are in Phuket Town, have a look. If you are a backpacker and stay at the Old Town Hostel, no excuses, it's about 1 minute down the road!